We’re passionate about making it easy to get you booked. Now we want to make it easier to get you paid for your bookings! Meet GigPay, the most convenient and secure way to receive your deposit and balance payments from gigs! It’s easy to sign up, fast, and free to use. You spoke and we listened - we’ve totally revamped the way you get paid online through GigMasters for bookings and deposits. Meet GigPay, the new, convenient, and secure way to receive your deposit and balance payments from gigs! It’s easy to sign up, fast, and free to use. But wait, there’s more to the benefits of enrolling in GigPay. Did you know that 80% of all GigMasters events are booked by members enrolled in our current online payments system? 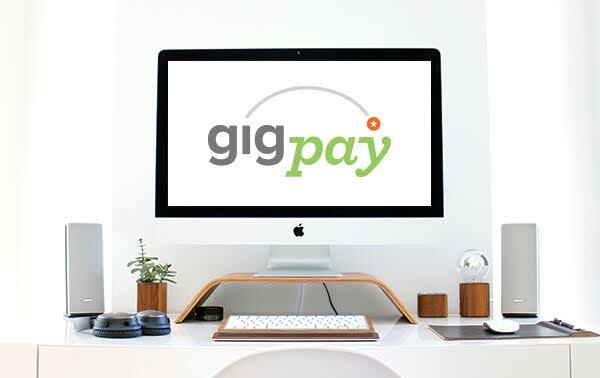 Enroll and make the switch to GigPay. Simply provide some basic banking information and you’re ready to receive speedy payment from bookings.